E-Discovery | Electronic Discovery Services | Litigation Support | Batish Technologies Pvt. Ltd. E-Discovery – Batish Technologies Pvt. Ltd.
E-discovery is the process of classifying, collecting, preserving, reviewing, and producing electronically stored information (ESI). Essentially, e-discovery tools and best practices impact any business process that depends on visibility and control over ESI. Batish Technologies is a Legal Technology Solution Company providing complete Legal Technology Services, Litigation Support, E-Discovery, Legal Process Outsourcing, LPO . The nature of digital data makes it extremely well-suited to investigation. For one thing, digital data can be electronically searched with ease, whereas paper documents must be scrutinized manually. Furthermore, digital data is difficult or impossible to completely destroy, particularly if it gets into a network. This is because the data appears on multiple hard drives and because digital files, even if deleted, can be undeleted. In fact, the only reliable way to destroy a computer file is to physically destroy every hard drive where the file has been stored. E-Discovery applications and technology enable organizations to pull information and records from the massive volumes spanning an enterprise, including emails and eliminate exact copies to reduce the effort and cost of reviewing the remaining content. This can also be costly and time consuming so the best practice is to be prepared before you have to act. The costs and management of E-Discovery actions can be lowered and managed more effectively through a sound records management program and the use of Electronic Records Management (ERM) systems. Electronic data discovery methodology has been developed to move the legal process in a forward direction. The solutions are meant for cutting down the time involved in the searching and collecting of relevant evidence, which often is laborious and unsatisfactory. 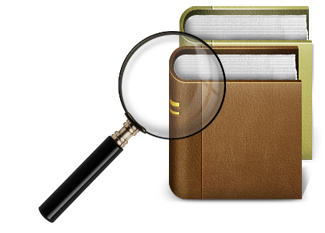 With the help of E-Discovery search, investigating teams are in a better position to see the status of a case, make prompt and correct decisions and save time. Contact us for more information on Legal Technology Services, Litigation Support, E-Discovery, Electronic Discovery, Legal Process Outsourcing, LPO.